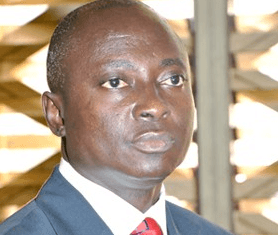 Mr Samuel Atta Akyea, the Minister of Works and Housing, has said the Government is pursuing a legislation to leverage 30 per cent of the pension funds for mortgage regime that would enable contributors to the Social Security and National Insurance Trust to secure affordable housing. The Minister explained that using the Pension Fund for mortgage financing would reduce the interest rate on the houses to about nine per cent, which would be far better than the current commercial rate of about 30 percent. It would also help reduce the current housing deficit of over 1.7 million and provide decent accommodation for the citizenry. Mr Atta Akyea gave the assurance at the maiden Construction Industry Lecture, organised by the Ghana Institution of Surveyors, with some partners, in Accra, on Monday. It was held on theme: “Ghana’s Construction Industry; Yesterday, Today and Tomorrow: Towards Greater Professionalism”. The Minister explained that the high cost involved in funding one’s accommodation, he explained, called for pragmatic measures to provide affordable housing to assuage the suffering of the ordinary Ghanaian. Professor George Ofori, a professor of Project Management at the London South Bank University, who was the main speaker, called for a strong legal regime to regulate the construction industry to ensure the regular maintenance of infrastructure and standardisation of equipment used in the industry. He said a properly regulated construction industry would create jobs, ensure productivity, enhance technology and improve economic growth. It is estimated that the construction industry employs about 600,000 people, representing about seven per cent of the population and contributed eight percent to the National Gross Domestic Product (GDP). The Lecture was organised in partnership with the Ghana Institute of Architect, Ghana Institute of Planners, Built Environment Professionals, Ministries, Department and Agencies. It is an intervention by the GhIS and the other stakeholders in the Industry to bring the fertile but troubled Industry under the spotlight of policy makers, practitioners, suppliers, leaders and captains of related industries, students and pupils to think of the industry. “Ghana must at this stage of our development, and after sixty years of independence, pay attention to this strategic Industry, which could easily employ over one million workers; engage over 100,000 business concerns, but, currently, however, locked up in inefficiencies throughout the value chain,” the GhIS had said in an earlier statement..
“There is a nation to build and the industry must be ready for the bold and initiatives the Government of Ghana is undertaking”. The post Government seeking legal backing to leverage pension fund for affordable housing appeared first on Ghana Business News.